Hey, guys! Welcome to KCL Friday Finds and happy first day of Fall! !🍁🍂 It is by far my favorite time of the year. We've been looking forward to Fall for several weeks now on these Friday posts, but today it is officially Autumn at last! 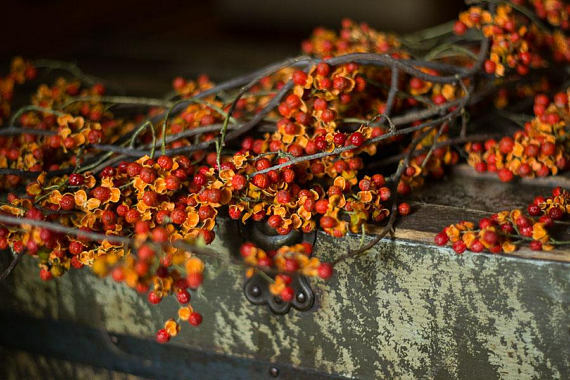 Naturally, today's picks are all about Fall. Enjoy! This first one is absolutely stunning! I've featured a few wreaths on the blog already, and continue to see new ones I want to show you guys. It's such an easy and festive way to update your home for the season. 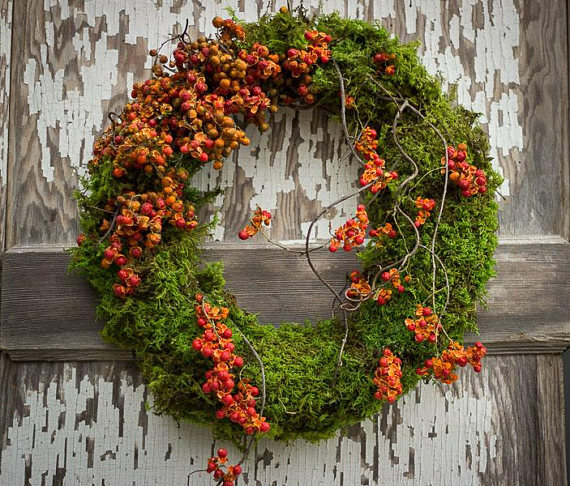 This Preserved Moss and Bittersweet Vine Wreath by Queen Bee Wreath really caught my attention. Debbie sells the most beautifully preserved floral arrangements and wreaths. I love that they give the look of real florals but last a bit longer than fresh arrangements. The bittersweet vine (pictured above) that she uses in several of her designs creates such a unique look for Fall. Place your order by September 29th to receive 10% off any order over $50! Another fall product I just can't get enough of is bath and body with the cozy scents of Autumn. From body scrubs and lotions to luxurious candles - these are all great ways to relax before cozying up for a night in. 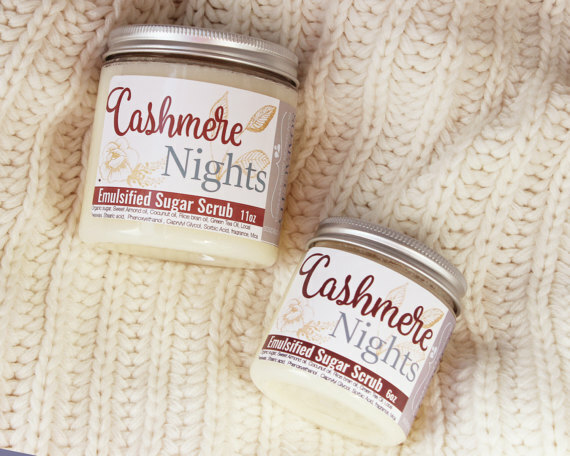 And while I do love anything pumpkin-scented, I'm very intrigued by this Cashmere Nights Sugar Scrub by Soapaucity. Gina also makes soaps and Whipped Body Butter, and of course you can get the scrub and body butter in pumpkin spice as well. Before you start shopping, head to soapaucity.com to get 10% off your first order! As I search for the best of the best hidden gems, I'm also thinking about hostess gifts this season. 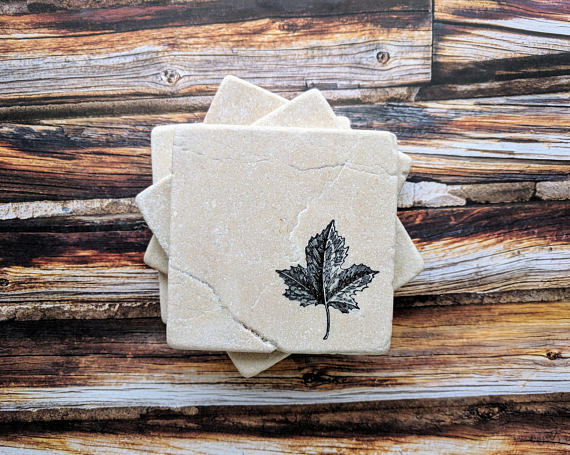 I do think a great candle is always a good idea, but when I saw these Fall Leaf Stone Coasters by The Leaky Paint Pot, I immediately thought fall hostess gift. There are several fall and Halloween designs as well, like pumpkins and jack-o-lanterns. 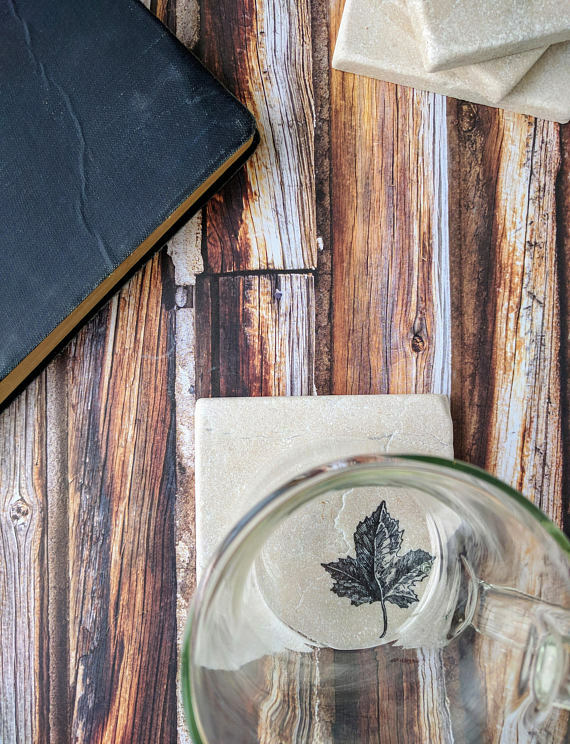 Virginia packages the coasters in a nice brown kraft box that can be tied with ribbon for the perfect Autumn gift! This next shop is very special, because its products are 100% all-natural. 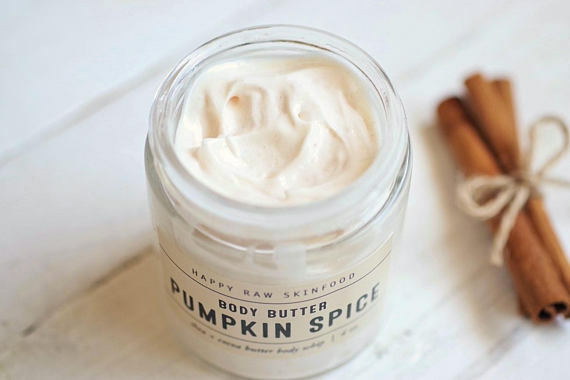 The Pumpkin Spice Body Butter by Happy Raw Skinfood contains Shea Butter, a skincare ingredient I'm really loving lately for how moisturizing it is. 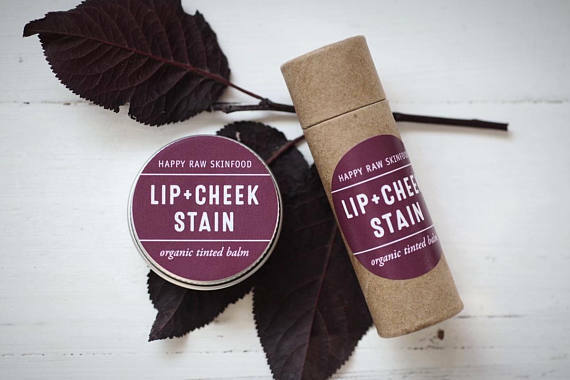 Tina's shop also carries all-natural plant-based products for the face and lips. The All-Natural Mineral Lip Tint and Cheek Stain pictured above are so beautiful, and the dark berry shades are perfect for Fall! 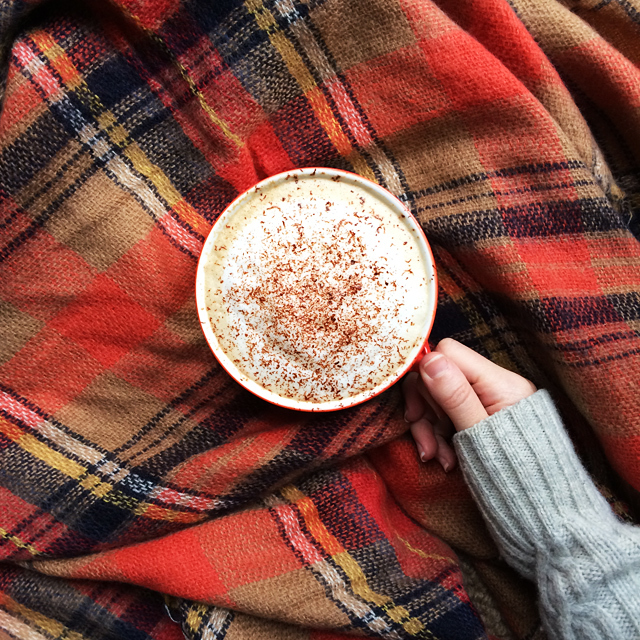 Fall certainly agrees with you! These fall find are wonderful! 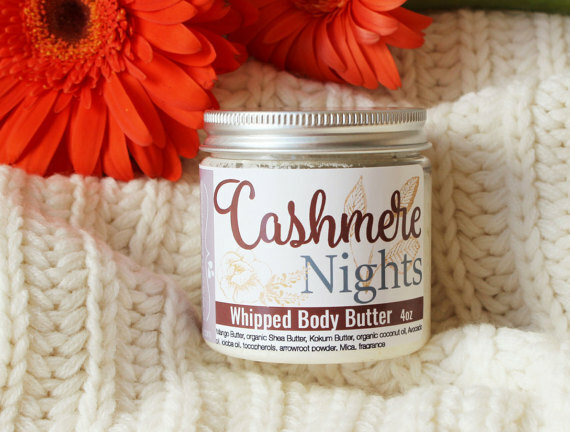 Love the wreaths and I need to try that body butter. The cashmere night scrub sounds so amazing!! I need that haha! Everything here makes me sooo excited for Fall! !